How to edit the title of home page in your site? Here are some steps for you! Firstly, a huge thanks for purchasing our themes. If there is any problem with our theme, please feel free to contact us via our Support Ticket System then we will support you until you feel happy with our product! No one can deny the important of Page Title, especially the home page title of a website to the SEO. 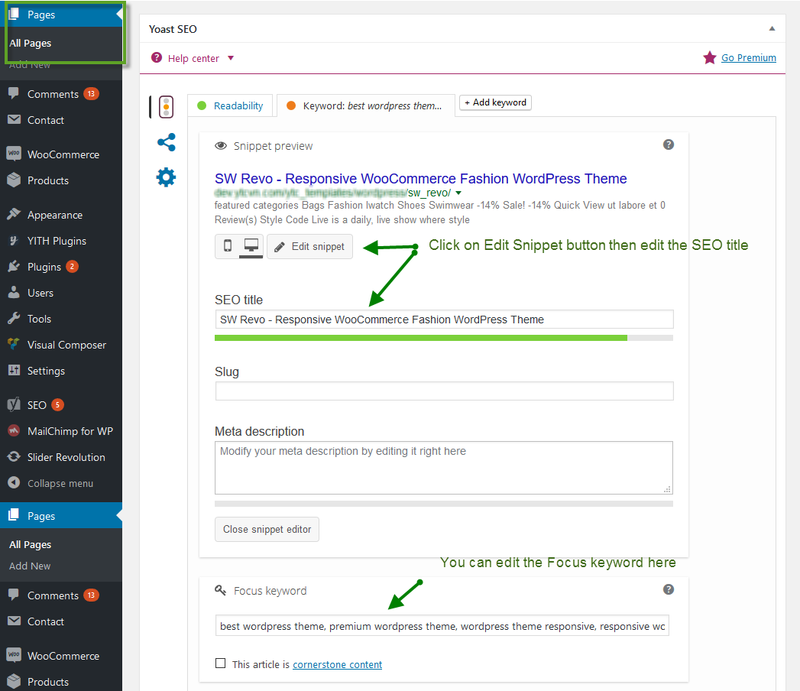 In Our Themes, we supports to use Yoast SEO to customize the page title into the ones that SEO friendly. How to Edit Page Title?